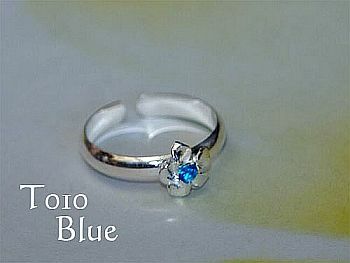 Sterling silver Hawaiian Plumeria (frangipani) toe ring with an eye of blue cubic zirconia. Flower diameter 7mm. Band width 3mm. One size fits all. Also available with clear, pink ice or violet cubic zirconia eye.